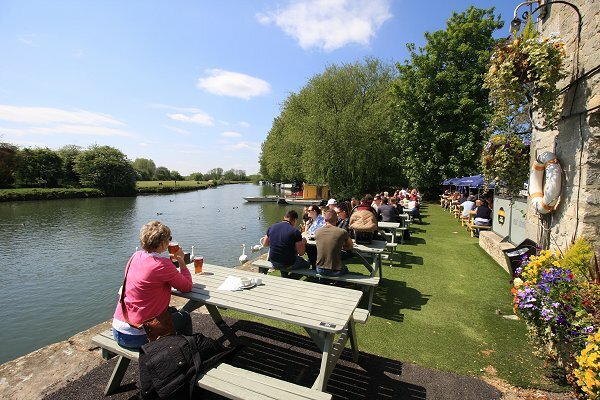 With the River Thames to look on to and pub food menu full of all the starters, mains and desserts we all like, it's hard to beat The Riverside when the sun's out. May we even recommend hiring a boat from the pub too and making a real day of it on the water. 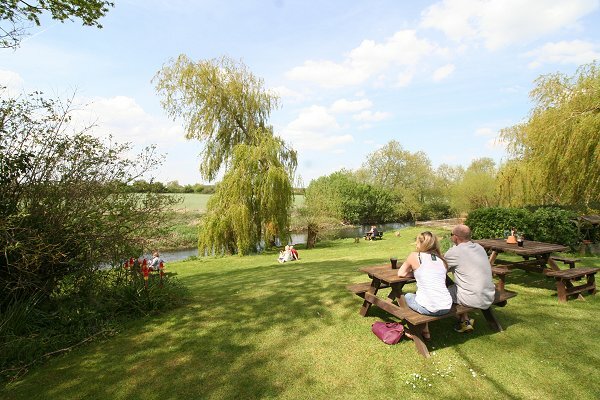 Possibly the best riverbank view of the lot, The Red Lion has just undergone a major refurbishment and sits beautifully near the mouth of the Thames and serves very good pub food 7 days a week. If you've got a canoe you can also launch it from The Red Lion but we recommend just sitting back and watching the wildlife. The Runner on Wootton Bassett Road in Swindon and its fantastic garden and terrace is just made for summer. 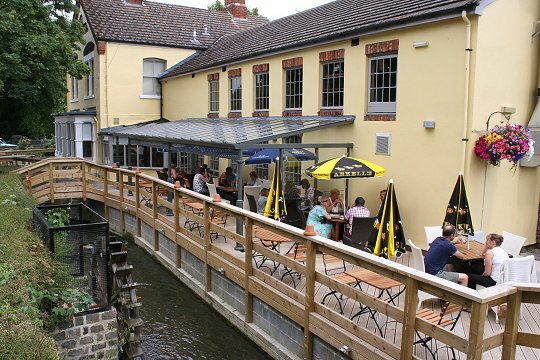 You'll find a covered patio area overlooking the meandering River Ray below, so it's no wonder that Al Fresco dining at The Runner is proving such a popular pastime for lunch-breakers, families and couples alike. 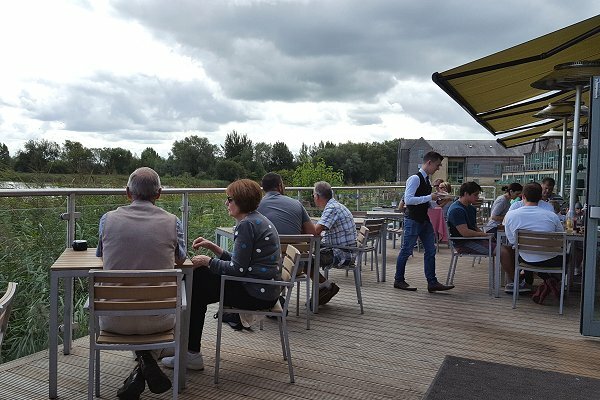 Just 5 miles down the road and off the A419, The Old Boathouse offers a spacious terrace ideal for enjoying the lakeside view. Food served all-day too.